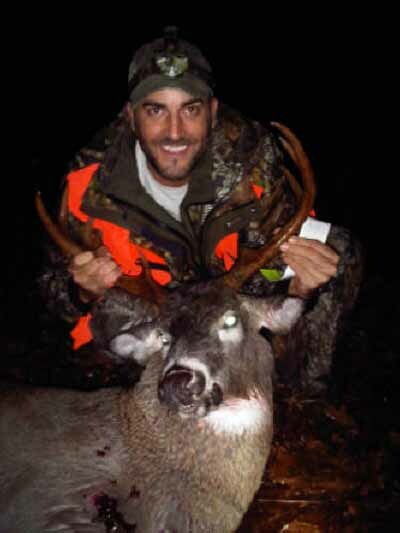 Moose, deer, bear, waterfowl and upland birds abound in this region and the area is home to the largest white-tail deer herd in the province of Ontario. 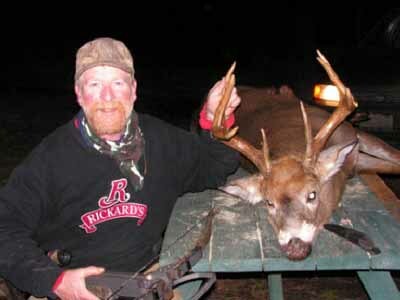 Guided hunts for deer (bow or gun) and birds are available at reasonable rates. 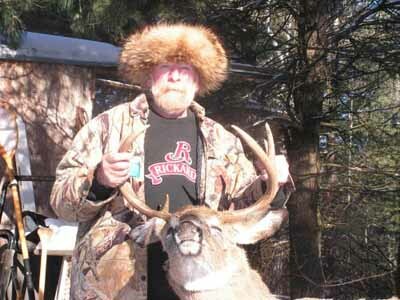 Our guide has been licensed for over 30 years and has hunted this area for over 40. *New for 2012, hunt 200 private acres abutting crown land. 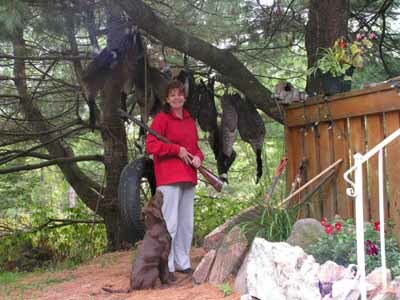 This is hunting on private land from a blind on baited sites. Select "Rates" above for pricing and details. Availability is limited so book early to avoid disappointment. For those who'd rather do their own thing, area maps are available at no charge from the resort office and we provide warm, comfortable and affordable accommodations during the hunting season.